Get ready for a spiffy new iPad in the next few months, not to mention a new iPhone later next year. But there are also several other enticing new products to watch for in 2012, including a new “light field” camera that you’ll never have to focus, two handheld game consoles that your kids will be longing for, a single data plan for the entire family, and more. What is it? 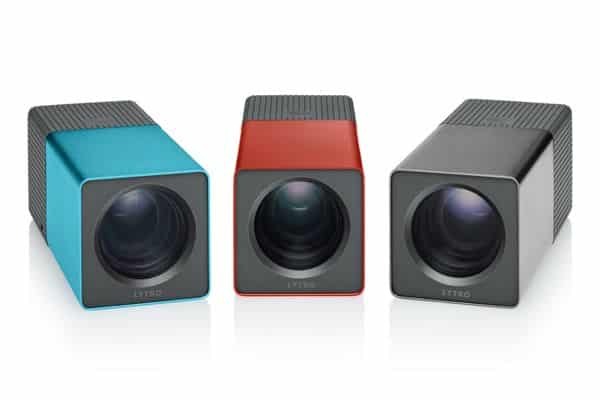 Looking more like a jumbo-sized tube of lipstick than a camera, the Lytro is a new-fangled camera with a so-called “light-field” sensor that’s capable of gathering up to 11 million rays of light in a given scene, including the rays that aren’t pointing directly at the camera lens. Cool new feature: The beauty of the Lytro’s “light-field” sensor is that you can (as the company claims) essentially “shoot first” and “focus later”—meaning, theoretically, that you’d never have to worry about taking an out-of-focus snapshot again. Price tag: $399 and up. Ouch. What is it: Not really a product, per se, but rather a new and potentially cost-saving data pricing structure similar to family plans for voice minutes and text messages. Cool new feature: With more and more parents passing out iPhones and Android phones to their kids, a shared pool of monthly data for the entire family makes a lot more sense than each family member coughing up $30 a month. Biggest hurdle: Whether the big carriers decide to play along. Verizon Wireless execs have already said they’re looking to roll out family data plans in 2012, but whether Verizon’s competitors follow suit remains to be seen. Price tag: No details yet. What is it? Sony’s long-awaited successor to the PSP gaming handheld. While the popular mobile games like “Angry Birds” are designed with “casual” gamers in mind, Sony is taking square aim at “hard-core” gamers (like, say, your teenage kids, or game-addicted grownups like yours truly) with the Vita. Expected to arrive: Out now in Japan, slated to land February 22 in the U.S. 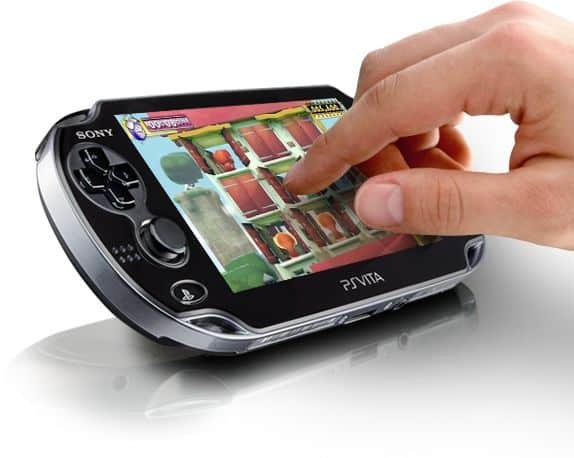 Cool new features: Armed with a gorgeous five-inch touchscreen, dual analog “sticks” for precise movement and aim, a roomy touchpad in back, and 3G wireless, the Vita promises to bring full-on “console”-style gaming to a light, compact handheld. Biggest hurdle: Reviewers are already calling out the Vita for its mere three hours of battery life. Price tag: $299 for the 3G version, or $249 for Wi-Fi-only. Expected to arrive: In April or May, although Apple hasn’t said anything publicly yet. Cool new features: The new iPad will probably come with a souped-up processor, a sharper camera, and maybe even a thinner shell. But the most anticipated feature on the iPad 3 is doubtless a “retina display” similar to the iPhone 4 and 4S—that is, an ultra high-resolution screen that’s so sharp, you can’t make out the individual pixels. Probable price tag: $499 and up seems like a safe guess, although again, Apple hasn’t breathed a work about the next-generation iPad yet. What is it: Microsoft’s latest stab at the tablet market, coming about two years after the vaunted, Windows 7-powered HP Slate landed with a thud. Cool new feature: The elegant “Metro” interface, which is already featured on Windows Phone handhelds and even on the Xbox 360 gaming console. With its touch-friendly, eye-catching design and “live” tiles for email, weather, social networking, events, and other essentials, Metro (which is also slated to land in the desktop version of the new Windows OS) is a far cry from the stodgy Windows desktop of old, not to mention a relatively daring departure from the icon-heavy look of Android tablets and the iPad. 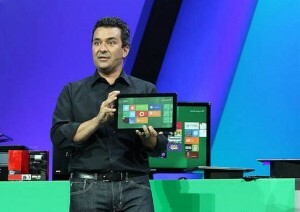 Biggest hurdle: Overcoming the perception that a Windows tablet is totally uncool. Expected to arrive by: Anywhere from June-July to September or October, given that the iPhone 4S landed in stores only two months ago. Cool new features: A faster processor, a better camera, a sleeker profile and perhaps even a larger screen, similar to the latest Android phones. Even better, though, would be support for speedy 4G LTE networks, such as those operated by AT&T and Verizon Wireless. Probable price tag: Apple hasn’t budged from pricing its cheapest new iPhones at $199 with a two-year contract, and there’s no reason to believe they’ll change course next year. What is it? 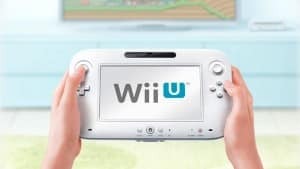 A new version of the Wii gaming console that connects to your HDTV but also comes with a portable, tablet-sized controller, complete with its own 6.2-inch touchscreen. 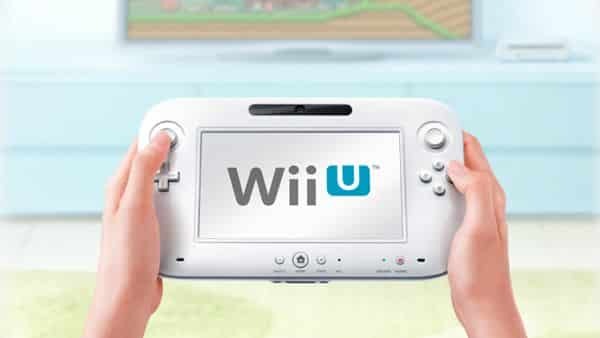 Cool new feature: Besides finally making the leap to true HD-quality video, the Wii U’s wireless controller will let your kids play games remotely on its six-inch touchscreen while you’re watching CNN. The controller can also act as a second gaming screen, working in tandem with a big-screen HDTV. What new gadgets and tech products are you looking forward to next year? Let us know!